Our team of around forty staff plus partners operate from modern offices based in Cardiff. We are members of the world-class professional accountancy body the ICAEW (Institute of Chartered Accountants in England and Wales) and the UK200 Group of Independent Chartered Accountants and Law Firms. Membership of the UK200 Group is open to high quality firms who observe stringent professional standards. To maintain membership we undergo a thorough external review of our procedures every year. The Group provides comprehensive training which enables our technical personnel to develop their skills and keep up to date with the ever changing marketplace and legislation. Lindsay Hogg ACA FCCA is the Managing Partner of Watts Gregory LLP and heads the Specialist Services department. He specialises in growing and developing businesses and has particular experience in strategic planning and development, grant and corporate funding, business acquisitions and disposals. 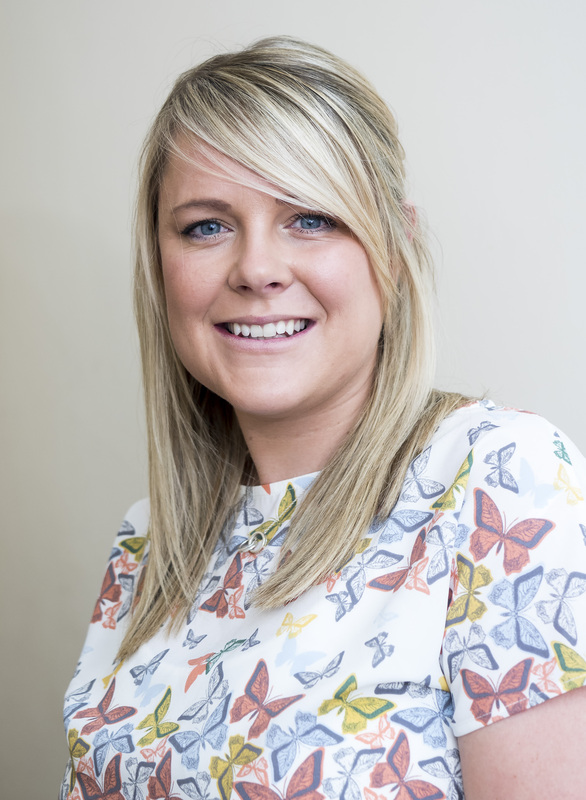 Lindsay is a Chartered Certified Accountant and is currently Deputy President of the South Wales ACCA panel and represents them on the HMRC Working Together Initiative. He is also a member of the UK200 Corporate Finance Panel and the South & Mid Wales representative of Goldsmiths Corporate Finance. Lindsay was educated at Ysgol Gyfun Rhydfelen and joined the international firm Deloitte Haskins & Sells (now PWC) in Cardiff, as a trainee in 1979. Having spent time in industry with Christie Tyler Plc, he returned to the profession in 1989 and became a partner with Watts Gregory in 2003. Married with three sons, his hobbies include sport, personal fitness and travel. David Williams FCA, CTA Dip ChA, is the Senior Partner. David trained in a Big 4 firm and on qualification joined Watts Gregory over 30 years ago. He is a Chartered Accountant, Chartered Tax Adviser and, in addition, has a Diploma in Charity Accounting. Having acted for many large and small corporate clients over a long period he has a broad range of experience and bring this to bear in helping clients manage and develop their businesses in a tax effective way. He acts for a number of professional clients, healthcare and property businesses. In addition he is jointly responsible for the Charity unit and responsible for delivering the firm's seminar programme to those clients and to the sector generally. David is married with two sons and a daughter, all of whom are Chartered Accountants! Accounting is in the genes! He is an active member of his local church and enjoys golf, walking and gardening. Hayley Bradfield ACA FCCA CTA is a partner with Watts Gregory specialising in corporate tax. She is heavily involved in advisory tax work, specialising in the corporate and owner managed business sector. She has extensive knowledge covering a number of tax breaks and RnD. Previously Hayley has lectured on professional accountancy courses at undergraduate and post graduate level and will occasionally still lecture on an ad hoc basis. She now gives regular seminars on behalf of Watts Gregory and the professional bodies. Hayley has two young boys who keep her very busy when she doesn't have her head down at work. Emyr Evans FCA is a Consultant to the firm. Emyr is a fluent Welsh speaker. Chris Hatcher FCA, MEWI, MAE is a partner and heads up the firm's Forensic Accounting & Expert Witness Services and its Legal & Pension Specialist Units. He also heads a client service team which is responsible for the services provided to a diverse client base and is one of three audit partners. Chris is a Chartered Accountant and a member of both the Expert Witness Institute and the Academy of Experts. He is the firm's representative for NIFA, a member of the ICAEW Solicitors, Forensic & Valuation Specialist Interest Groups and is a committee member of the UK200 Legal Specialist Group and a member of its Forensic Accounting and Dispute Resolution Panel. Chris is also an Accredited Expert Witness under the ICAEW scheme and an affiliate member of Resolution, whilst being the firm's Head of Legal Practice in respect of its Probate and Estate Administration offering. He was educated at Howardian High School, Cardiff and University College Cardiff from where he graduated with a joint honours degree in Accountancy and Law. He trained with the international firm Deloitte Haskins & Sells (now PWC) from 1977-1980 and after qualifying, remained with the firm in a variety of managerial positions in both its Cardiff and Swansea offices. In 1990 he moved to set up a new office in Cardiff for a practice with established offices in Newport and Gloucester and in 1994 oversaw the merger of that office with Watts Gregory. Chris is married with twin boys and a daughter and his interests include soccer, skiing, golf and keeping fit. He is a trustee of the Welsh Football Trust which has delegated authority for grass roots football from the Football Association of Wales and enjoys foreign travel, concerts and Italian cuisine. Julia Mortimer FCCA is one of the partners responsible for the Audit and Risk Assurance services. She has a hands-on approach, getting involved in audits at all levels. Julia has particular experience of working with charities and not-for-profit organisations providing advice on their systems and controls as well as all necessary compliance work. After graduating from Cardiff University with a degree in accountancy, Julia worked for a large independent firm of accountants in the Lake District for a few years until settling back in South Wales in 1997. She stayed in practice, working for a firm in Newport before joining Watts Gregory in 2004 and becoming a partner in 2012. Julia is a Chartered Certified Accountant and is married with two sons and a dog, Julia enjoys walking, watching rugby and holidays. Neil Pugh RD, FCA CTA is a partner with Watts Gregory specialising in tax advice. Neil has considerable experience of advising his own clients and other accountants on a variety of tax planning areas. Neil was born in Neath and after attending schools in Wales and England, he trained as a Chartered Accountant in London. After qualifying, he moved with his wife, Sarah, to the Cayman Islands where he stayed for 5 years, working for Coopers & Lybrand and Johnson & Higgins in the captive insurance market. They returned to London with two additions in the shape of two daughters. After qualifying as a Chartered Tax Adviser with Arthur Andersen, he moved back to Wales with Deloitte Haskins & Sells in Cardiff, resettling in Penarth where the family have stayed for the last 27 years. That time has also seen the addition of two sons. Having left Deloitte's to set up in practice with two colleagues he eventually became a partner in Watts Gregory LLP in 1994. More recently Neil has also become an accredited individual for Probate and Estate Administration. Neil has served in the Royal Naval Reserve since 1987 achieving the rank of Commander. He is currently Commanding Officer of HMS Cambria, the Reserve Unit based in Wales. He has completed a number of postings including a 6 month mobilisation to Afghanistan in 2006/07. In addition to an active family life, he has a variety of interests. He is a member of the church choir at St Augustine's Church, Penarth; a committee member and former Chairman of Old Penarthians RFC; a member of Glamorganshire Golf Club (albeit an infrequent player) and a member of Cardiff Bay Yacht Club, where he is an enthusiastic but incompetent sailor. However, following Wales and the British Lions around the World probably remains his favourite (and most expensive) hobby. Anne Smith FCA CTA joined Watts Gregory in August 2004, and is the Partner heading up the tax planning and advisory team. Anne concentrates on providing holistic tax advice to small and medium sized businesses and their owner managers, and to wealthy individuals. Anne is a Chartered Accountant and a Chartered Tax Adviser. As well as participating on the Tax Panel of the UK200 Group, Anne is on the South Wales branch committee of the Chartered Institute of Taxation and a committee member of the South Wales Society of Chartered Accountants. She is also an accredited individual for Probate and Estate Administration. Anne graduated with a first class honours degree in mathematics and then trained and qualified professionally with the international firm KPMG, where she gained over 12 years experience specialising in tax planning for corporate purchase and sale and reorganisation transactions, fiscal share valuations, international business structuring and expatriate tax planning, and latterly for executive remuneration and employee share schemes. Anne has two children and also enjoys Italy, wine, music, ancient history and foreign travel, and for exercise walking, the gym when it's raining, occasional gardening and the odd game of badminton or tennis. Emyr Evans FCA is a Consultant to the firm.